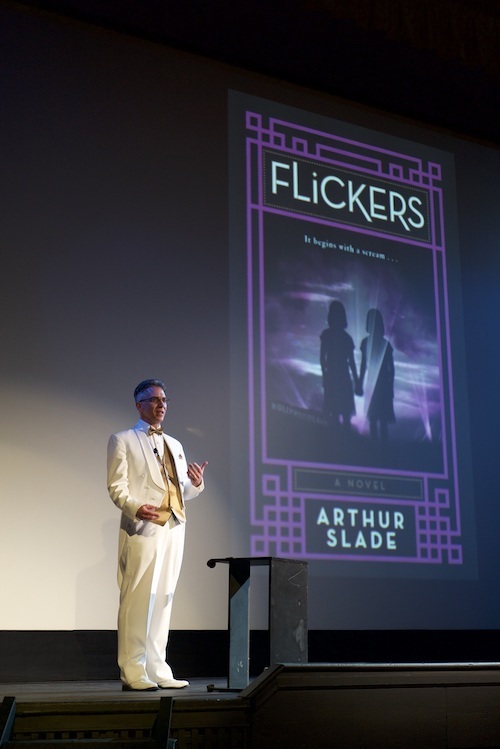 Arthur Slade has done 100os of presentations, school visits and keynotes to schools, libraries, festivals, literary functions and to the general and non-general public. He's a dynamic speaker who has a wide variety of topics to choose from. Invite Arthur to Your school (in Real Life). Arthur Slade has survived (err, and thrived!) doing a multitude of school visits to Canada, the US, and other destinations. How? By putting together a dynamite audio/video presentation about the writing life, imagination and creativity. Arthur presents to grades four and up. Book him now for a school visit. *Saskatchewan Schools can apply for funding through the Saskatchewan Writer's Guild to pay Slade's fee and travel expenses. *Ontario Schools are also eligible for funding through The Writer's Union of Canada. Invite Arthur to your school using Skype. Arthur is the veteran of hundreds of virtual visits. They're engaging, entertaining and an easy (and cheaper!) way to get an author into your classroom. You don't even have to feed the author. Skype visits are also easier to book because they don't rely on the author having to travel to you. All you need is a projector and a screen. Send Arthur a note and inquire about his world famous interactive online visits.